If you haven’t tried parkrun before, here’s your chance. 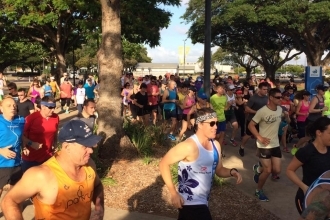 With an option at North Shore or Riverway, these free, weekly, timed 5km routes see walkers, joggers, runners, and pram-pushers come together every Saturday to get active, socialise, reach new goals and blitz PBs. Saturday, October 3 is International parkrun Day so we thought it was an opportune time to catch up with regular parkrunner, Jess Vardy, to find out how this volunteer-run event has changed her life. See the bottom of the article for how you can get involved. My name is Jess. 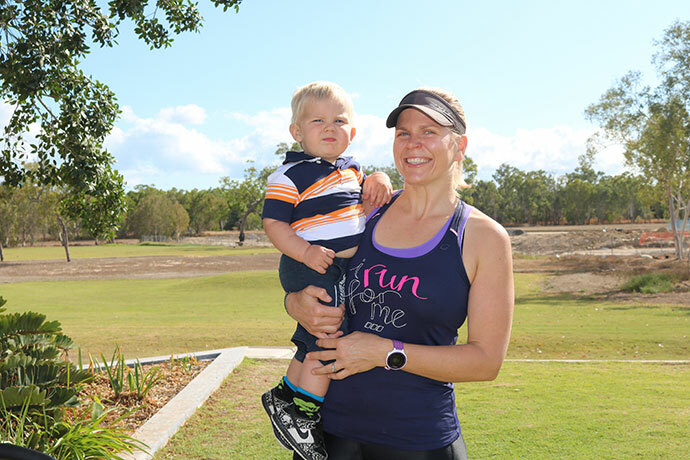 I am a wife and mother to two beautiful boys and I owe my health to my local North Shore parkrun in Townsville. At the age of 17, my dad took his own life, which was a terrible thing to have to go through. I ate my feelings as a way to cope and continued to do this for many years after. After the birth of my first son I had put on a lot of weight and was obese and very unhealthy. I slowly started exercising and lost some weight. With my second pregnancy I kept a lot fitter, but still gained a lot of weight. After the birth of my second baby I knew I had to get moving, so I started back exercising and attended my local parkrun every Saturday that I could. It became my habit — my Saturday ritual. 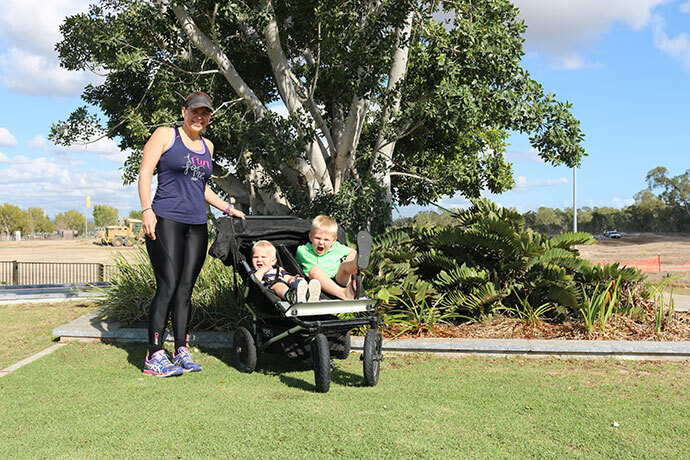 I didn’t just do it on my own; I did it pushing my two boys in the pram as my husband was training for his second full Ironman on Saturday mornings. I started in August 2014 with a five-week old baby. Living in North Queensland, it got hotter and hotter and the running got harder and harder. It’s a 20-minute drive to our local parkrun and it wasn’t always easy getting two kids fed, dressed and ready in the pram by 7am, but they weren’t my excuse. I turned up week-after-week and got it done, no matter how hard it was. I had this lovely lady (Jacqui) come up to me at one point and say how amazing I was and to ‘keep at it’ because ‘I would be running faster before I knew it’. Hang on? WHAT?? Faster? Running?? I’m not a RUNNER!!! But something about what that beautiful lady said clicked with me and got me thinking: Maybe I can get better at this? Maybe I can call myself a runner?? And so started my running story. North Shore parkrun would take me 40 minutes when I started. But every week I got a little quicker. 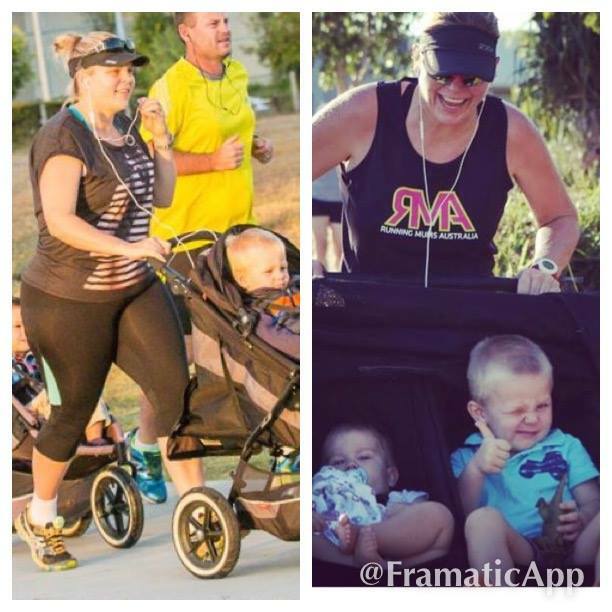 It was in October 2014 that I decided that I would sign up for my first full marathon, after being inspired by a beautiful stranger, Runbrid72 from Torrens parkrun in Adelaide. I am proud to say that I completed my first marathon in August this year. I am proud to say that I am 25kg lighter and still counting. I am proud to say I am no longer obese and close to being in the healthy weight range. And I am proud to say I can now run a 28-minute parkrun while pushing the kids (now aged one and three), which is about 50kg! Jess with sons Carter, 1, and Nash, 3 – nearly 50kg to push! I have met some incredible, inspiring, caring people through my parkrun family and I have gained more then just the weight loss and running. What a great community of likeminded people who continue to build each other up, encourage and inspire, who week-in-week-out volunteer their time to create such a great event. This year the kids and I came third in the female points tally and it’s my proudest medal and hangs in my house! Thank you parkrun for helping me to change my life and set a good example for my children, to show them that anything is possible if they try! And I hope that by sharing my story I might inspire someone to not give up, not give in. Results will happen, just keep at it. Be consistent and don’t be afraid to dream — in fact, dream big! International parkrun Day is on Saturday, October 3 — find out more about how it will be celebrated and how you can get involved in the run and festivities here. Otherwise you can join parkrun any Saturday of the year. 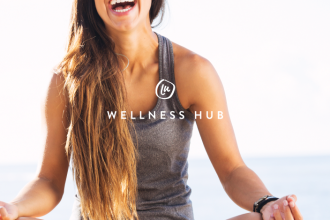 There are two free events in Townsville — North Shore and Riverway. 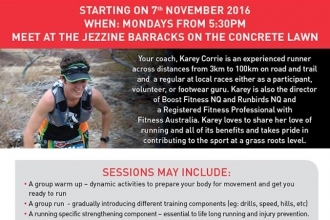 Both consist of 5km-timed courses and have people of all abilities giving them a go. Find out more about the North Shore and Riverway events in our Calendar, including exact location and how to register (it’s free, but you do need to register as you need a special barcode).